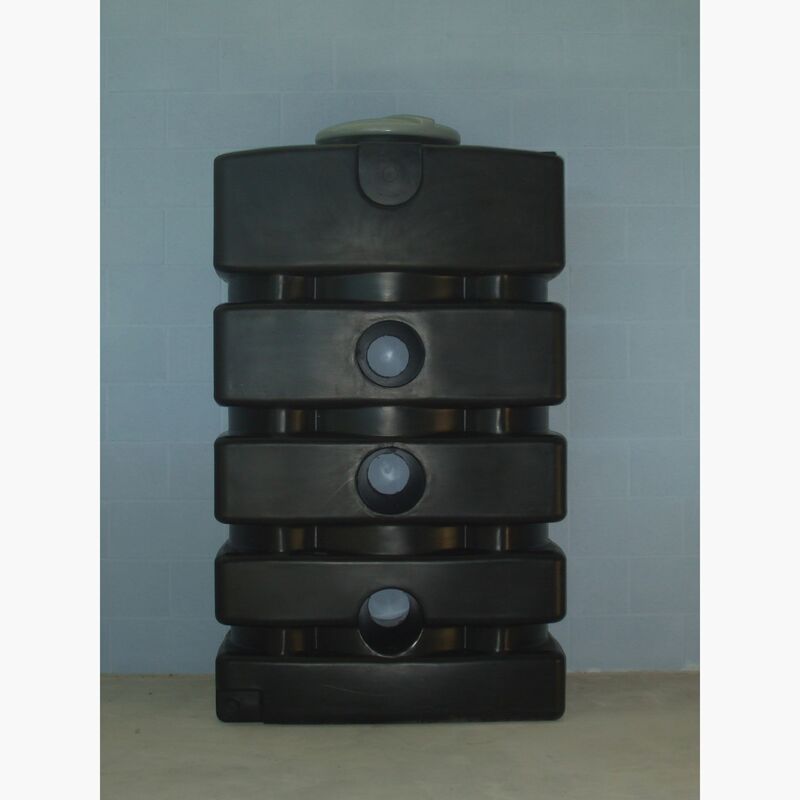 This truly versatile tank can be utilised in a whole range of rainwater harvesting applications. Suitable for above ground. 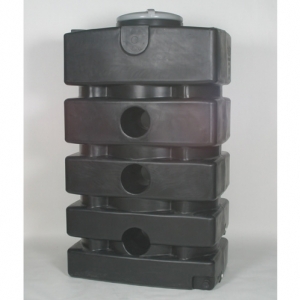 This truly versatile tank can be utilised in a whole range of rainwater harvesting applications. With a small footprint and a very large capacity of 1500 litres this tank enables large scale rainwater harvesting where underground systems are inappropriate or undesired. This tank would not look out of place in your garden or a basement and due to it’s modular nature it can be installed in plant rooms servicing multiple occupants or businesses. This tank offers you rainwater harvesting solutions where that were never thought possible before. Also available packaged with the 3P Filter Collector and Forta Duo pump to create an above ground system. Our products and solutions are no different from any other appliance buy you make. To help makes things easier for you, we've given a guideline on the approximate skill-level and time involved in the installation of this product: DIY: Competent: 2 Days Professional: Tradesman: 1 Day Please note: some of you might think you're handier than you are! This is a guideline only, intended only to help you understand how simple installation is and whom you could ask to do it for you. If you were unsure, we would recommend getting the professionals in! 1. What is urban rainwater harvesting? 2. What are the main components of an urban system? 3. What are the benefits of a urban rainwater harvesting system? 4. What size of system do I require? a home or business premises for toilet flushing? 6. Can I drink my rainwater? rainwater to the toilet cistern? 8. Is planning consent required for the installation of an urban rainwater harvesting system? 9. Is urban rainwater harvesting covered by building regulations? that can be installed in a shallow excavation in open ground or under decking. aboveground system to supply rainwater for toilet flushing presents no increased risk to public health. In the UK collected rainwater is not approved for human consumption. Though we can filter it to drinking water standard. Consider the following when installing an urban harvesting system to maintain a healthy rainwater storage system. and fit a feature to prevent back flow of foul water from the drain. the tank from the mid-day sun. Install in a location with good ventilation. throughout the year to the main drain removing any fine particles of floating organic matter. Rainwater has no minerals or nutrients, is slightly acid and will be slightly dirty from the surfaces it’s run off of. However, it can be filtered. We are the only people we’ve found to filter rainwater to drinking water standard. Consider the following to mitigate the risk of any interruption to supply due to freezing weather. submerged inside larger tanks to prevent any frost damage. mineral wool mat, insulating tape or moulded insulation foam. Several other associated regulations apply; In England and Wales the Water Supply Regulations 1999 (Water by-laws 2000 in Scotland and Water Supply (Water Quality) Regulations (Northern Ireland) 2002 must be adhered to. These regulations are enforced by the water supplier. For many families and small businesses, collecting rainwater can lead to a large reduction in their utilities bill. On an industrial scale, harvesting rainwater can provide the needed amounts of water for many operations to take place smoothly without having to deplete the nearby water sources. Most rooftops act as a workable catchment area, which can be linked to the harvesting system; Reduces demand on ground water. Rainwater is free from many chemicals found in ground water, making it suitable for irrigation and watering gardens. Urban modular tank systems make it simple to add units to provide the required capacity and modules can always be added at a later stage if water needs change. Urban rainwater harvesting systems offer the durability, utility and permanence of a traditional below-ground system.